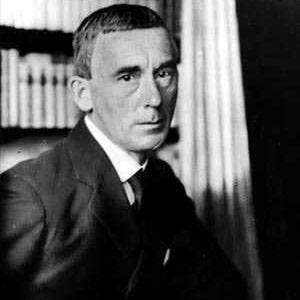 Remembered best for his famous Dada Manifesto of 1916, this German-born poet, dramatist, and biographer also penned such well-known works as Die Nase des Michelangelo (a play); 7 Schizophrene Sonette (a poetry collection); and Flight Out of Time: A Dada Diary (a memoir). After completing philosophy and sociology coursework at universities in Heidelberg and Munich, Germany, Ball briefly pursued an acting career. He published one of his earliest works, a deliberately nonsensical poem titled "Karawane," in 1916. He co-founded Zurich, Switzerland's famous Cabaret Voltaire, which was a performance venue devoted to the anarchist Dada movement. He grew up in a Catholic family in Rhineland-Palatinate, Germany, and later settled in Switzerland with his wife and fellow Dadaist, Emmy Hennings. He wrote a 1927 biography of the acclaimed German poet Hermann Hesse.